Losing our connection with Spirit may be the biggest problem we suffer from today. We want to face our challenges and disappointment with grace; be creative and inspired; feel excited by a purpose; and live fearlessly through an intuitive, guiding wisdom. We want to love and feel loved, and realize genuine peace . . . but as much as we desire a significant spiritual breakthrough and long to know our Divine selves, we’re still not making the commitment that will ensure our success. We want the gifts, but we’re not engaging in the practical work necessary to obtain them, so we remain stuck and more frustrated than ever. We know a lot about the power of Spirit, yet we aren’t actually experiencing it. And we cannot do so through intellectual pursuits alone. In fact, we can only experience it through a deep, intentional daily practice of connecting with Spirit. When you truly make this connection, you’ll realize that it’s the most authentic, lasting power you have in your life. 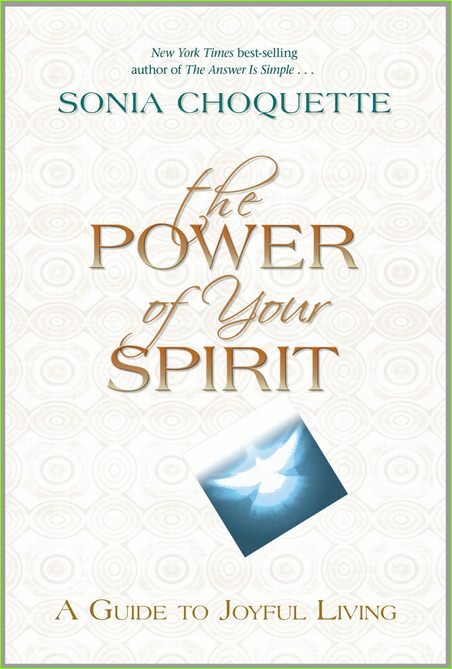 In this enlightening book, spiritual teacher Sonia Choquette will show you that even though you can’t control the outside world, with the power of your Spirit, you can create a sense of purpose within that brings about profound contentment and personal peace-no matter what is going on around you.